Gatehouse Design can support ETO companies both with bespoke project design and providing break out elements of product work using CTO production processes. For companies that provide standard products as integral elements of larger ETO projects, this can make a dramatic improvement in reducing time, cost, errors whilst increasing customer satisfaction and company profitability. Many ETO companies provide both systems and standalone equipment. Their equipment sales are based upon standards used by the company to ensure consistency and accuracy. As a generalisation, many companies continue to manage equipment sales as any other ETO project. The design of the equipment does not start until the company receives a purchase order from the customer. By working differently, the company can save time, cost and reduce errors. Larger projects should proceed using the ETO model, but this should be adapted to allow CTO project elements. The inclusion of CTO products will allow the project to be simplified, it will reduce risk, allow change to be managed easily and will add profitability to the overall project. Having worked in the ETO sector for 30 years, we understand the management of large projects. We can help develop a different approach which maximises the profitability of equipment sales, whilst retaining the flexibility required for managing large projects where much of the design is impossible to develop until the order commences. Efficiency comes from the recognition that projects often comprise of both familiar and unfamiliar elements. 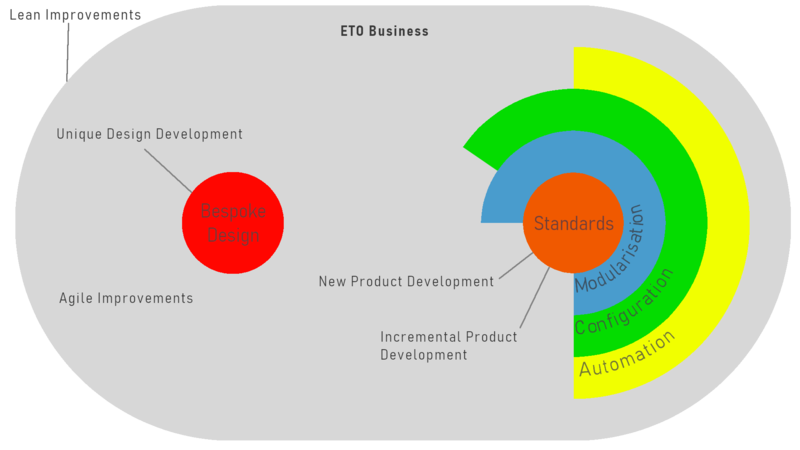 ETO is a variant of make-to-order production approach in which engineering definition starts only after a customer’s order is received. We can provide design solutions for all parts of the overall project design. Our engineers can carry out site surveys where required and work as an extension of your overall team to provide well-designed solutions for specific projects.